A recent survey conducted by CFO Research and IBM reported that the No. 1 objective of finance executives is to right-size facility operations and lower occupancy costs to deliver the maximum cost-efficiency for their companies. Even so, many real cost-savings opportunities slip through the cracks because executives aren’t looking in all the right places. Worse yet, many executives mistakenly believe that they have few options to significantly impact their business’s overall occupancy cost on a short-term basis, much less deliver year-over-year savings. The truth is there’s plenty you can do to gain greater control. 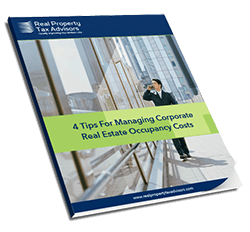 In 4 Tips For Managing Corporate Real Estate Occupancy Costs, you’ll uncover some overlooked ways to make an impact on your occupancy cost-reduction initiative.